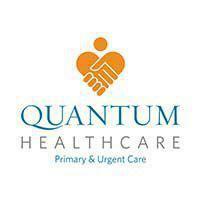 Quantum Healthcare is a family medical practice serving patients in the Crivitz, Wisconsin, area. Dr. Yasser Salem and the Quantum Healthcare team provide care for the whole family: diabetes treatment, hypertension treatment, immunizations, physical exams for all ages, and more. The Quantum Healthcare philosophy is rooted in patient convenience and comfort, working to resolve problems for patients on site rather than sending them to another doctor. However, when specialists are needed, doctors refer patients promptly to a trusted professional who can help. During a visit to Quantum Healthcare, patients can discuss all of their medical concerns. The Quantum Healthcare team is happy to address multiple issues within the same office visit, and the physicians base their recommendations on each patient's individual needs. Patients can rely on Quantum Healthcare to give them the least costly and most effective health solutions available. Patients dealing with acute problems can come in for same-day appointments. The Quantum Healthcare team never pressures patients into testing or treatments they don’t need, and the doctors respect patients’ ability to make healthcare decisions for themselves. The Quantum Healthcare team strives to help patients in whatever way serves them best, working together to develop the right healthcare plan. 1. Fix the problem instead of sending you to someone else, but make appropriate referrals to subspecialists when indicated. 2. Address multiple problems at the same visit. 3. See you the same day for acute problems. 4. We will not judge you or be critical of your habits/behavior. We will make recommendations based on your needs and not pressure you into getting needless tests. 5. We respect your ability to make your own decisions about your health and believe that we are here to help you in whatever way serves you best. 6. We will try to treat you with the fewest medications needed to get the job done and will always strive to find the least expensive way to do it. 7. We will respect your opinions about the best way to manage your health concerns and work together to plan the best course of action.